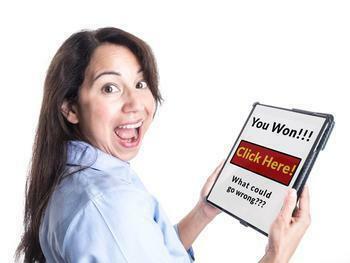 We've all seen or heard about the letters and emails that claim the recipient has won a huge prize and needs only pay a few hundred dollars to collect their winnings. These are all scams, of course. You can't win a lottery you didn't enter and there's no logical reason you would have to pay a fee to collect your supposed winnings. But the schemes are profitable even if only a tiny percentage of consumers fall for them. That's why the U.S. Justice Department and other agencies have launched an effort to attack the schemes with criminal charges and lawsuits aimed at scam artists in the U.S. and abroad. “Every year, fraudulent mail schemes target millions of Americans with false promises of wealth and riches, swindling hundreds of thousands of our fellow citizens,” said U.S. Attorney General Loretta E. Lynch. “Today’s actions send a clear message that the Department of Justice is determined to hold the perpetrators of these harmful schemes accountable. And they make unmistakably clear that we are committed to protecting our people from exploitation – especially our older citizens, who are so often the focus of these shameful ruses." a Canadian payment processor that, for more than 20 years, has helped dozens of international fraudsters gain access to U.S. banks and take money from victims. PacNet Services Ltd. (PacNet), an international payments processor and money services business based in Vancouver, Canada, today was named a "significant transnational criminal organization (TCO)," along with a global network of 12 individuals and 24 entities across 18 countries. According to court filings made public today, PacNet has a 20-year history of engaging in money laundering and mail fraud, by knowingly processing payments on behalf of a wide range of mail fraud schemes that target victims in the United States and throughout the world. According to these records, in 2016 alone, PacNet has processed payments for the perpetrators of more than 100 different mail fraud campaigns, collectively involving tens of millions of dollars. In a criminal complaint filed in the U.S. District Court for the Eastern District of New York, the government charged Ercan Barka, 34, a resident of Turkey, with conspiracy to commit mail fraud. According to the criminal complaint, Barka arranged for fraudulent solicitations to be mass-mailed to victims across the United States, telling recipients they had won cash awards or lavish prize items and needed to pay a “fee” to claim their winnings.Victims allegedly received nothing in return for their fees. Barka was arrested by U.S. Postal Inspectors at JFK International Airport in New York on Sept. 3, as he was about to board a plane bound for Turkey. In a separate civil action, the United States brought suit to shut down entities and individuals, some of whom have engaged in numerous predatory mail fraud schemes for more than a decade, targeting primarily the elderly and vulnerable. Among them is BDK Mailing GmbH, which allegedly acts as a “direct mailer” responsible for mailing millions of multi-piece solicitations to potential victims throughout the United States that profess to come from financial entities, scholars, and world-renowned psychics, with contrived names like “Harrison Institute,” “Dr. Grant,” “Finkelstein & Partner,” and “Marie de Fortune,” among others. The solicitations are written to give the impression that they are personalized and inform recipients that they will receive large sums of money, guaranteed money-making methods, and/or powerful talismans in return for payment of a fee of $50 to $55. In reality, the complaint alleges, the purported senders and the promised winnings are fictitious. Although victims send in the requested fees by cash, check, or credit card, they receive nothing in return. The complaint alleges that tens of thousands of victims send approximately $50 to $60 million annually in response to the defendants’ fraudulent solicitation packets. In separate but related actions, Iowa Attorney General Tom Miller filed consumer fraud lawsuits against two out-of-state mailing operations that Miller alleges are predatory businesses that use deceptive mailings to profit from the elderly and other vulnerable Iowans. Miller also announced the settlement of a third case involving a New Jersey list broker company that markets consumer lead lists—including so-called “sucker” lists—to mass mailers. Miller filed a consumer fraud lawsuit in Polk County District Court against Waverly Direct Inc. and company owner and president, Gordon F. Shearer, both of Lynbrook, New York. The second lawsuit names Nicholas Valenti and three of his companies, WB Co., TL Distribution, and Southwest Publishing, all of Las Vegas. The lawsuit alleges the defendants send deceptive mailings to Iowans promising to reveal – for a price – methods for consistently winning large sums of money in lotteries and other forms of gambling. The lawsuit also alleges that Valenti sells the rights to use his deceptive mailers to other would-be scammers. In a separate case, Miller today reached an agreement with Macromark Incorporated, of Danbury, Connecticut, over Miller’s concerns that the company engaged in consumer fraud through its role in providing consumer lists to other companies, or list brokering.